Sophie Whittaker shared a terrifying secret. Hours later, she was dead.Detective Kay Hunter and her colleagues are shocked by the vicious murder of a teenage girl at a private party in the Kentish countryside.A tangled web of dark secrets is exposed as twisted motives point to a history of greed and corruption within the tight-knit community.Confronted by a growing number of suspects and her own enemies who are waging a vendetta against her, Kay makes a shocking discovery that will make her question her trust in everyone she knows.One to Watch is a gripping murder mystery thriller, and the third in the Detective Kay Hunter series. A page-turning whodunit for fans of Jeffery Deaver, Peter James, David Baldacci and James Patterson. Note: This is Book 3 but it works fine as a stand alone. This series keeps getting better and better. I am impressed. Detective Kay Hunter continues to grow in depth and the plot is tighter and a little more complicated than the last book. There’s also a bigger mystery that we get small pieces of in each book. Sophie Whittaker starts off dead so we only get to know her through the people she’s left behind. It seems everyone loved her… or did they? She comes from a prominent family and the police are pushed to make an arrest right away. But our clever Kay questions whether they truly have their murderer. One of the things I really liked about this book was how Kay’s team with their immediate boss Sharp really gel together. They have common goals and a very unreasonable manager. Kay has been missing that camaraderie that she had a few years ago before some evidence went missing and Kay was suspected of ‘misplacing’ it. This missing evidence continues to be part of this bigger mystery that stretches across all 3 books. Don’t worry! If you haven’t read the previous books, all the pertinent info is nicely repeated in this story. Kay finds some very disturbing things related to this and she decides she finally has to trust someone else besides her husband Adam. Yay! I love how this is developing. OK, back to Sophie. Her prominent family has agreed to an engagement to the son of a local wealthy businessman even though Sophie is only 16. Then there’s this interesting Chastity Vow that has strong Christian undertones. Various characters react differently to this. I definitely agreed with Kay and Kariss. It was definitely an interesting wrinkle in the investigation. Toss in some black mail, plenty of hidden secrets, secret lovers, and a looming financial disaster, you have plenty of suspects. One to Watch is a thoroughly riveting tale! 5/5 stars. 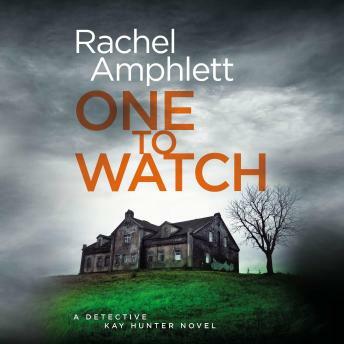 The Narration: Alison Campbell is a perfect Kay Hunter. She sounds analytical and hard when she needs to but can also be that loving wife and good friend. Campbell was great with all of Kay’s emotions in this story. Most of the characters sounded distinct but some of the young men did sound like women from time to time. There were no technical issues with the recording. 4/5 stars.